Richard Edgar Pipes (Polish: Ryszard Pipes; July 11, 1923 – May 17, 2018) was a Polish American academic who specialized in Russian history, particularly with respect to the Soviet Union, who espoused a strong anti-communist point of view throughout his career. In 1976 he headed Team B, a team of analysts organized by the Central Intelligence Agency who analyzed the strategic capacities and goals of the Soviet military and political leadership. Pipes was the father of American historian and expert on American foreign policy and the Middle East, Daniel Pipes. Richard Pipes was born in Cieszyn, Poland to an assimilated Jewish family (whose name had originally been spelled "Piepes"). His father Marek was a businessman and a Polish legionnaire. By Pipes's own account, during his childhood and youth, he never thought about the Soviet Union; the major cultural influences on him were Polish and German. When he was age 16, Pipes laid eyes upon Adolf Hitler at Marszałkowska Street in Warsaw when Hitler made a victory tour after the Invasion of Poland. The Pipes family fled occupied Poland in October 1939 and arrived in the United States in July 1940, after seven months passing through Italy. Pipes became a naturalized citizen of the United States in 1943 while serving in the United States Army Air Corps. He was educated at Muskingum College, Cornell University, and Harvard University. He married Irene Eugenia Roth in 1946, and had two children with her, Daniel and Steven. His son Daniel Pipes is a scholar of Middle Eastern affairs. Pipes died in Cambridge, Massachusetts on May 17, 2018 at the age of 94. Pipes taught at Harvard University from 1958 until his retirement in 1996. He was the director of Harvard's Russian Research Center from 1968 to 1973 and later Baird Professor Emeritus of History at Harvard University. In 1962 he delivered a series of lectures on Russian intellectual history at Leningrad State University. He acted as senior consultant at the Stanford Research Institute from 1973 to 1978. During the 1970s, he was an advisor to Washington Senator Henry M. Jackson. In 1981 and 1982 he served as a member of the National Security Council, holding the post of Director of East European and Soviet Affairs under President Ronald Reagan. He also became head of the Nationalities Working Group. Pipes was a member of the Committee on the Present Danger from 1977 until 1992 and belonged to the Council of Foreign Relations. In the 1970s, Pipes was a leading critic of détente, which he described as "inspired by intellectual indolence and based on ignorance of one's antagonist and therefore inherently inept". Pipes was head of the 1976 Team B, composed of civilian experts and retired military officers and agreed to by then-CIA director George H. W. Bush at the urging of the president's Foreign Intelligence Advisory Board (PFIAB) as a competitive analysis exercise. Team B was created at the instigation of then Secretary of Defense Donald Rumsfeld as an antagonist force to a group of CIA intelligence officials known as Team A. His hope was that it would produce a much more aggressive assessment of Soviet Union military capabilities. Unsurprisingly, it argued that the National Intelligence Estimate on the Soviet Union, generated yearly by the CIA, underestimated both Soviet military strategy and ambition and misinterpreted Soviet strategic intentions. Team B faced criticism. The international relations journalist Fred Kaplan writes that Team B "turns out to have been wrong on nearly every point." 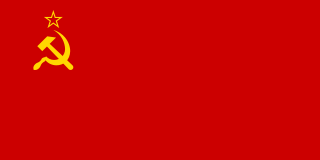 Pipes's group insisted that the Soviet Union, as of 1976, maintained "a large and expanding Gross National Product," and argued that the CIA belief that economic chaos hindered the USSR's defenses was a ruse on the part of the USSR. One CIA employee called Team B "a kangaroo court". Pipes wrote many books on Russian history, including Russia under the Old Regime (1974), The Russian Revolution (1990), and Russia Under the Bolshevik Regime (1994), and was a frequent interviewee in the press on the matters of Soviet history and foreign affairs. His writings also appear in Commentary, The New York Times, and The Times Literary Supplement. At Harvard, he taught large courses on Imperial Russia as well as the Russian Revolution and guided over 80 graduate students to their PhDs. Pipes is known for arguing that the origins of the Soviet Union can be traced to the separate path taken by 15th-century Muscovy, in a Russian version of the Sonderweg thesis. In Pipes' opinion, Muscovy differed from every other State in Europe in that it had no concept of private property, and that everything was regarded as the property of the Grand Duke/Tsar. In Pipes' view, this separate path undertaken by Russia (possibly under Mongol influence) ensured that Russia would be an autocratic state with values fundamentally dissimilar from those of Western civilization. Pipes argued that this "patrimonialism" of Imperial Russia started to break down when Russian leaders attempted to modernize in the 19th century, without seeking to change the basic "patrimonial" structure of Russian society. In Pipes's opinion, this separate course undertaken by Russia over the centuries made Russia uniquely open to revolution in 1917. Pipes strongly criticized the values of the radical intelligentsia of late Imperial Russia for what he sees as their fanaticism and inability to accept reality. The Russian writer Aleksandr Solzhenitsyn denounced Pipes' work as "the Polish version of Russian history". Pipes, in turn, accused Solzhenitsyn of being an anti-Semitic Russian ultra-nationalist, who sought to blame the ills of Communism on the Jews rather than to admit to the Russian roots of the Soviet Union. Writing of Solzhenitsyn's novel, August 1914 in the New York Times on November 13, 1985, Pipes commented: "Every culture has its own brand of anti-Semitism. In Solzhenitsyn's case, it's not racial. It has nothing to do with blood. He's certainly not a racist; the question is fundamentally religious and cultural. He bears some resemblance to Dostoevsky, who was a fervent Christian and patriot and a rabid anti-Semite. Solzhenitsyn is unquestionably in the grip of the Russian extreme right's view of the Revolution, which is that it was the doing of the Jews". Pipes explained Solzhenitsyn's view of Soviet communism: "[Solzhenitsyn] said it was because Marxism was a Western idea imported into Russia. Whereas my argument is that it has deep roots in Russian history." Pipes stressed that the Soviet Union was an expansionist, totalitarian state bent on world conquest. He is also notable for the thesis that, contrary to many traditional histories of the Soviet Union at the time, the October Revolution was, rather than a popular general uprising, a coup foisted upon the majority of the Russian population by a tiny segment of the population driven by a select group of intellectuals who subsequently established a one-party dictatorship that was intolerant and repressive from the start, rather than having deviated from an initially benign course. In Pipes's view, the Revolution was a total disaster, as it allowed a small section of the fanatical intelligentsia to carry out policies that were completely unrealistic. In what was meant to be an "off-the-record" interview, Pipes told Reuters in March 1981 that "Soviet leaders would have to choose between peacefully changing their Communist system in the direction followed by the West or going to war. There is no other alternative and it could go either way – Détente is dead." Pipes also stated in the interview that Foreign Minister Hans-Dietrich Genscher of West Germany was susceptible to pressure from the Soviets. It was learned independently that Pipes was the official who spoke to Reuters. This potentially jeopardized Pipes' job. The White House and the "incensed" State Department issued statements repudiating Pipes' statements. Criticism of Pipes's interpretation of the events of 1917 has come mostly from revisionist Soviet historians, who under the influence of the French Annales school, have tended since the 1970s to center their interpretation of the Russian Revolution on social movements from below in preference to parties and their leaders and interpreted political movements as responding to pressures from below rather than directing them. Among members of this school, Lynne Viola and Sheila Fitzpatrick write that Pipes focused too narrowly on intellectuals as causal agents. Peter Kenez (a one-time PhD student of Pipes') argued that Pipes approached Soviet History as a prosecutor, intent solely on proving the criminal intent of the defendant, to the exclusion of anything else. Pipes' critics argued that his historical writings perpetuated the Soviet Union as evil empire narrative in an attempt "to put the clock back a few decades to the times when Cold War demonology was the norm". Other critics have written that Pipes wrote at length about what Pipes described as Lenin's unspoken assumptions and conclusions while neglecting what Lenin actually said. Alexander Rabinowitch writes that whenever a document can serve Pipes' long-standing crusade to demonize Lenin, Pipes commented on it at length; if the document allows Lenin to be seen in a less negative light, Pipes passed over it without comment. 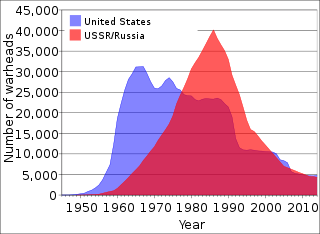 Pipes, in his turn – following the demise of the USSR – charged the revisionists with skewing their research, by means of statistics, to support their preconceived ideological interpretation of events, which made the results of their research "as unreadable as they were irrelevant for the understanding of the subject" to provide intellectual cover for Soviet terror and acting as simpletons and/or Communist dupes. He also stated that their attempt at "history from below" only obfuscated the fact that "Soviet citizens were the helpless victims of a totalitarian regime driven primarily by a lust for power". Pipes had an extensive list of honors, including: Honorary Consul of the Republic of Georgia, Foreign Member of the Polish Academy of Learning (PAU), Commander's Cross of Merit of the Republic of Poland, Honorary DHL at Adelphi College, Honorary LLD at Muskingum College, Doctor Honoris Causa from the University of Silesia, Szczecin University, and the University of Warsaw. Honorary Doctor of Political Science from the Tbilisi (Georgia) School of Political Studies. Annual Spring Lecturer of the Norwegian Nobel Peace Institute, Walter Channing Cabot Fellow of Harvard University, Fellow of the American Academy of Arts and Sciences, Fellow of the Center for Advanced Study in the Behavioral Sciences, Guggenheim Fellow (twice), Fellow of the American Council of Learned Societies and recipient of the George Louis Beer Prize of the American Historical Association. He was a member of the Board of Advisors of the National Committee on American Foreign Policy. He served on a number of editorial boards including that of the International Journal of Intelligence and Counterintelligence. He received one of the 2007 National Humanities Medals and in 2009 he was awarded both the Truman-Reagan Medal of Freedom by the Victims of Communism Memorial Foundation  and the Brigham-Kanner Property Rights Prize by the William & Mary Law School. In 2010, Pipes received the medal "Bene Merito" awarded by the Polish Minister of Foreign Affairs. Since 2010 he belonged to the Russian Valdai Discussion Club. Alexander Yakovlev: The Man Whose Ideas Delivered Russia from Communism. — Northern Illinois University Press. - 2015. ^ "Uważam Rze Historia". Historia.uwazamrze.pl. Archived from the original on February 16, 2015. Retrieved February 23, 2015. ^ Pipes, Richard (March 7, 2014). "Need To Know with Mona Charen and Jay Nordlinger" (Interview). Interviewed by Jay Nordlinger. ^ "Nie żyje prof. Richard Pipes" (in Polish). Gremi Media. Retrieved May 17, 2018. ^ "Richard Pipes, Historian of Russia and Reagan Aide, Dies at 94". ^ a b c Press, Eyal (May 2004). "Neocon man: Daniel Pipes has made his name inveighing against an academy overrun by political extremists but he is nothing if not extreme in his own views". The Nation. Archived from the original on November 13, 2007. Retrieved August 17, 2007. ^ Kalinovsky, Artemy M. (2015). "Encouraging Resistance: Paul Henze, the Bennigsen school, and the crisis of détente". Reassessing Orientalism: Interlocking Orientologies during the Cold War. Retrieved October 16, 2018. ^ Kaplan, Fred (September 7, 2004). "Can the CIA be saved?". Slate.com. Retrieved February 23, 2015. ^ Tanenhaus, Sam (February 11, 2003). "The Hard Liner: Harvard historian Richard Pipes shaped the Reagan administration's aggressive approach to the Soviet Union". Boston Globe. Retrieved July 30, 2006. ^ "Anatomy of a Neo-Conservative White House". Canadian Dimension. 39 (03): 46. May 1, 2005. ^ Tanenhaus, Sam (February 11, 2003). "The hard-liner". The Boston Globe. ^ "Team B: The Reality Behind the Myth". Commentary Magazine. Archived from the original on June 24, 2006. Retrieved July 30, 2006. ^ Nancy deWolf Smith (August 20, 2011). "A Cold Warrior At Peace". Wall Street Journal. Retrieved August 20, 2011. ^ Richard Pipes (August 16, 1992). "THE PAST ON TRIAL: RUSSIA, ONE YEAR LATER". Washington Post. Retrieved May 18, 2018. ^ Pipes, apud Ronald I. Kowalski, The Russian Revolution, 1917–1921. London: Routledge, 1997, ISBN 0-415-12438-7, p. 8. ^ Richard Pipes (2003). "Vixi: Memoirs of a Non-Belonger". Fas.harvard.edu. Retrieved February 23, 2015. ^ "Richard Pipes on Siegelbaum". Yale.edu. Archived from the original on February 16, 2015. Retrieved February 23, 2015. ^ "Twelve FAS Faculty Members to Retire". Harvard Gazette Archives. Archived from the original on September 3, 2006. Retrieved July 30, 2006. ^ Breslow, Jason M. (November 16, 2007). "6 Academics Receive National Honors in Arts and Humanities - Faculty - The Chronicle of Higher Education". Chronicle.com. Retrieved February 23, 2015. ^ "News Archive | National Endowment for the Humanities". Neh.gov. Archived from the original on December 20, 2007. Retrieved February 23, 2015. Daly, Jonathan, “The Pleiade: Five Scholars Who Founded Russian Historical Studies in America,” Kritika: Explorations in Russian and Eurasian History 18, no. 4 (Fall 2017): 785–826. Daly, Jonathan, ed., Pillars of the Profession: The Correspondence of Richard Pipes and Marc Raeff (Leiden, The Netherlands, and Boston, 2019). Aleksandr Isayevich Solzhenitsyn was a Russian novelist, historian, and short story writer. He was an outspoken critic of the Soviet Union and communism and helped to raise global awareness of its Gulag forced labor camp system. He was allowed to publish only one work in the Soviet Union, One Day in the Life of Ivan Denisovich (1962), in the periodical Novy Mir. After this he had to publish in the West, most notably Cancer Ward (1968), August 1914 (1971), and The Gulag Archipelago (1973). Solzhenitsyn was awarded the 1970 Nobel Prize in Literature "for the ethical force with which he has pursued the indispensable traditions of Russian literature". Solzhenitsyn was afraid to go to Stockholm to receive his award for fear that he would not be allowed to reenter. He was eventually expelled from the Soviet Union in 1974, but returned to Russia in 1994 after the state's dissolution. Team B was a competitive analysis exercise commissioned by the Central Intelligence Agency (CIA) to analyze threats the Soviet Union posed to the security of the United States. It was created, in part, due to a 1974 publication by Albert Wohlstetter, who accused the CIA of chronically underestimating Soviet military capability. Years of National Intelligence Estimates (NIE) that were later demonstrated to be very wrong were another motivating factor. Adam Bruno Ulam was a Polish-American historian of Jewish descent and political scientist at Harvard University. Ulam was one of the world's foremost authorities and top experts in Sovietology and Kremlinology, he authored multiple books and articles in these academic disciplines. 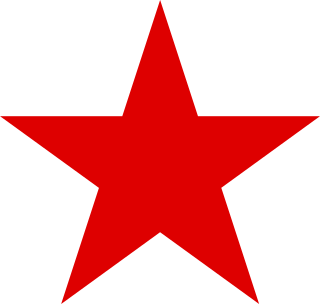 National Bolshevism, whose supporters are known as the Nazbols, is a political movement that combines elements of nationalism and Bolshevism.